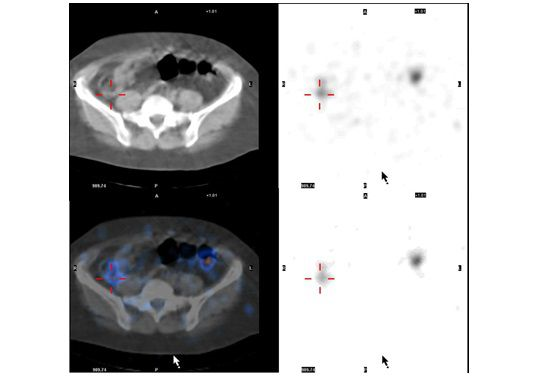 Nuclear Medicine uses radioactive substances in both the diagnosis and treatment of a range of diseases. We provide nuclear medicine services at Castle Hill Hospital and Hull Royal Infirmary, and support nuclear medicine services at Diana Princess of Wales Hospital, Grimsby. For patient information and contact details please refer to the Hull University Teaching Hospitals NHS Trust Website. 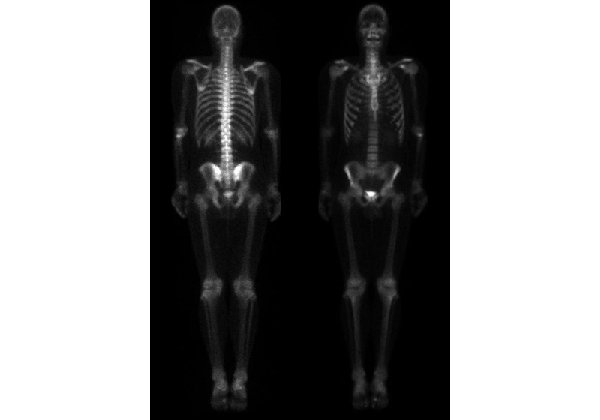 This is a Nuclear Medicine bone scan, the most commonly performed Nuclear Medicine procedure.